Sumitomo Chemicals plans wholesale trading in insecticides. The Sumitomo Chemicals India Pvt Ltd (Sumitomo Chemicals India), a subsidiary of $7.6 bn Japanese chemicals major Sumitomo Chemicals Co, is planning to expand in the Indian market by wholesale trading of household insecticides and agro-chemical intermediaries, with a mix of both import and domestic outsourcing. Sichuan Lomon Corporation, founded in 1985, is the largest manufacture of feed grade Calcium phosphate in Asia. It is located in Sichuan, China. Lomon Corporation is mainly composed of 3 businesses: Phosphate, Titanium, Bioscience. Twelve subsidiaries owned by Lomon Corporation are producing over 10 main products, including (+) cis, trans-abscisic acid (S-ABA). Lomon Bio Technology Co, Ltd. is a joint venture between Lomon Corporation and Chengdu Biology Institute, China Academy of science. Lomon Bio Technology has a strong force for scientific research and development, advanced production lines, modern analysis and test instruments. Lomon Bio Technology has established extensively collaboration relationship with many researchers and institutes of S-ABA in the world and engaged in over ten excellent specialists of S-ABA as consultants. In 2001, S-ABA has been successfully industrialized by Lomon Bio Technology using bio-fermentation method. Devgen is a privately held biotechnology company focused on the rapid discovery of novel, validated targets and active compounds for the pharmaceutical and agrochemical industries. Devgen was founded in December 1997 and is based in Ghent, Belgium. To date the company has raised EUR 37 million and employs over 90 people. Sumitomo Chemical Company Ltd (Tokyo, Japan) has acquired a majority holding in Interfarm UK Ltd., distributor of crop protection products in the UK and Ireland. The acquisition strengthens Sumitomo Chemical's position in the UK and Irish markets, providing an excellent platform for the launch of its newly-registered SumiMax 30SC (flumioxazin) winter wheat herbicide. Valent U.S.A. Corporation and its parent company, Sumitomo Chemical Co. Ltd., announced today that they have filed complaints against Syngenta AG and a number of its subsidiaries in the International Trade Commission (ITC) and against one Syngenta subsidiary in the U.S. District Court for Western Wisconsin. These cases seek relief for infringement of Sumitomo Chemical's patent on an insecticide compound known as clothianidin. Valent and Sumitomo Chemical filed a separate complaint against Syngenta Crop Protection, Inc. in the U.S. District Court for Northern California, alleging that Syngenta's later use patent on clothianidin is invalid. The three complaints involve patents covering the invention and use of clothianidin, an insecticide used to control insect pests on plants. The ITC and Wisconsin court complaints allege that Syngenta is violating Sumitomo Chemical's basic patent on clothianidin ("the '404 patent"). The Northern California case alleges that Syngenta is trying to prevent Valent and Sumitomo Chemical from selling their clothianidin insecticide for controlling insects on transgenic useful plants by threatening to enforce a separate clothianidin use patent ("the '469 patent") that was issued to Syngenta about 15 years after the '404 patent was issued. In that case, Valent and Sumitomo Chemical are asking the court to declare that patent invalid. Dalian Sumika Chemphy Chemical Co., Ltd.
Nufarm Limited today announced that it has terminated discussions with Sinochem Corporation (“Sinochem”) in relation to its proposal to acquire all of the issued ordinary shares in Nufarm. On September 27, 2009, Nufarm and Sinochem executed a Heads of Agreement in relation to a non-binding proposal for Sinochem to acquire all of the issued ordinary shares in Nufarm for a price of $13.00 cash per share. On December 21, 2009 Nufarm announced that Sinochem advised Nufarm that it would not proceed with its previous $13.00 cash per share offer and instead proposed a price of $12.00 cash per share. The Nufarm Board has carefully considered Sinochem’s proposal and has decided that it is not in the best interests of Nufarm shareholders to pursue Sinochem’s proposal. In forming its decision the Nufarm Board had regard to a number of factors including Sinochem’s revised offer price of $12.00 cash per share undervalues Nufarm and is materially lower than the price of $13.00 cash per share that was agreed as part of the Heads of Agreement; Sinochem’s proposal remains subject to numerous conditions, some of which are unacceptable. Sinochem’s proposal remains subject to the uncertainty of regulatory approvals, including approval by Chinese and Australian regulatory authorities; The Nufarm Board has confidence in Nufarm’s business and growth prospects; and Nufarm has progressed an attractive proposal from Sumitomo Chemical Corporation to acquire up to 20% of the issued ordinary shares of Nufarm from Nufarm shareholders for $14.00 cash per share and enter into an agreement to co-operate across a number of business areas. Nufarm Ltd has terminated takeover talks with Chinese suitor Sinochem Corporation and has instead agreed to a deal with Japanese company Sumitomo Chemical Corp, which will buy up to 20 per cent of the fertiliser maker. Under the terms of the agreement, Sumitomo will offer Nufarm shareholders $14.00 cash per share and enter into an agreement to co-operate across a number of business areas. Nufarm shares surged over five per cent on the news, as they emerged from a three day trading halt. "It puts a price on the stock, a significant investor is taking a stake in the company so it sets a base price," said Steve Robinson, a fund manager with Alleron Investment Management, which does not own Nufarm shares. "The fact that it's not a full takeover and that they are only buying a 20 per cent stake could be a concern for investors," he said. Nufarm has cut its earnings forecasts three times this year reflecting a slump in the price of its key herbicide, glyphosate, in the US market and weaker sales volumes than it had expected. They were 3.78 per cent stronger at $10.96 by 1227 AEDT, against a 1.12 per cent improvement in the benchmark index.. The takeover target said that its board had rejected Sinochem's latest offer after careful consideration, saying that the $12.00 cash per share was not in the best interest of Nufarm shareholders. "Sinochem’s revised offer price of $12.00 cash per share undervalues Nufarm and is materially lower than the price of $13.00 cash per share that was agreed as part of the heads of agreement," Nufarm said on Tuesday. Nufarm said it had executed a memorandum of understanding with Sumitomo under which the Nufarm board would unanimously recommend the proposal from Sumitomo to acquire 20 per cent of Nufarm's shares via a tender offer. Sumitomo will be invited to nominate one director to the Nufarm board following successful completion of the tender offer. Nufarm chairman Kerry Hoggard said that Sumitomo’s proposed investment recognised the true value of the company and the tie-up with the Japanese chemical company would deliver long-term benefits. “Sumitomo’s proposal places an appropriate value on the company and provides all Nufarm shareholders with the opportunity to realise a fair price for some of their shares," Mr Hoggard said. “The companies have reached an in-principle agreement to co-operate across a number of areas, including research and development and co-distribution." “This investment and the resulting benefits to the business are expected to provide Nufarm with access to additional new products and increased opportunities to expand and strengthen Nufarm’s position in various crop segments and geographic markets,” Mr Hoggard said. The tender offer has been recommended by Sumitomo's management committee but is subject to final approval by the Sumitomo Board, which is scheduled to meet on January 22. The tender offer is also subject to Nufarm shareholder approval which will be sought at a shareholder meeting in early March. The tender offer will not be subject to any financing conditions. Sumitomo has advised Nufarm that it has sought and received approval from Australia's Foreign Investment Review Board (FIRB) for an investment in Nufarm. IG Markets market analyst Cameron Peacock said the deal was "a great result" for Nufarm shareholders. "Heading into Christmas they were contemplating a lower offer price from Sinochem and the likelihood of the share price getting smashed all the way back to the $8 range had the board rejected the bid with no other suitors in sight," Mr Peacock said in a statement. "Sumitomo turned out to be the white knight waiting in the wings, happy to give shareholders the opportunity to sell out part of their stake - up to 20 per cent - at $14 per share, while retaining a decent percentage to benefit from a turnaround in performance." Australian Foundation Investment Company managing director Ross Barker told The Age newspaper it was disappointing to see Sinochem back away at the last minute, but the deal with Sumitomo was good news. ''The board needed to do something to validate its view that the stock was worth more than $12 so from that point of view I think it's welcome,'' Mr Barker said. Nufarm managing director Doug Rathbone also provided an update on Nufarm's refinancing program, saying all renewals (about $1 billion) scheduled to be completed by the end of the 2009 calendar year had been completed. "Our focus on reducing working capital over the course of the full year is also on target and together with today's announced capital raising our balance sheet is expected to be in a strong position at year end, allowing us to pursue growth opportunities and to continue to support the ongoing needs of the business," Mr Rathbone said. 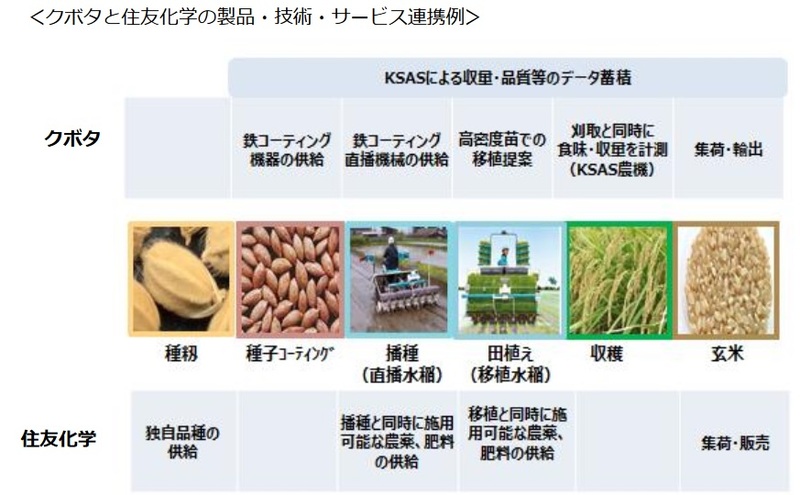 Sumitomo Chemical spokesman Toshihiro Yamauchi said nothing had been decided on whether it might in the future look to raise its stake in Nufarm beyond 20 percent. He said the deal was in line with the company's strategy of investing in the agricultural chemical business, which it sees as a growth market. "We believe this market has growth potential, and we have been considering ways to increase the scale of our business," Mr Yamauchi said. Nufarm also said on Tuesday it would raise $250 million in equity. Mr Rathbone owns 11 per cent stake in the company. The end of the Sinochem talks marks the second time since 2007 that Nufarm has failed to strike a deal with a Chinese company. Two years ago, Nufarm was approached by China National Chemical Corp, which led a $3 billion approach with US private equity firms, but no formal offer emerged. Sinochem issued a statement saying it regretted the Nufarm board's decision to decline its offer, reported The Australian newspaper. Sinochem had hoped to gain from the Australian company's global distribution network that includes Asia, South America and Europe. A Sinochem spokesman in Australia had no immediate comment. Nufarm is being advised by UBS, while Royal Bank of Scotland had advised Sinochem. Sumitomo Chemical declined to name its advisors. Valent BioSciences Corporation (VBC) has acquired a minority interest in Pace International, a Seattle-based firm that manufactures and distributes products used to protect and improve the quality of fruits and vegetables after harvest. Valent Biosciences is the global leader in providing biorational solutions for pre-harvest crop production applications in specialty crop market segments. Products from VBC include leading brands of plant growth regulator, microbial and biochemical active ingredients. This equity investment will give Pace International and Valent BioSciences opportunities to co-develop new applications of VBC's active ingredients in the global post-harvest market segments. "There is growing consumer demand worldwide for improved fruit and vegetable quality," says Michael Donaldson, president and COO of VBC. "VBC leads the global development and commercialization of biorational products for pre-harvest uses that enhance the quality and productivity of specialty crops. This investment will create opportunities to meet that demand in post-harvest applications by applying technology in innovative ways, and by leveraging the core competencies of both companies in the pre- and post-harvest market segments." In addition to creating new opportunities for VBC technology in the post-harvest segment, the investment will give Pace International and its proprietary technology access to VBC's global marketing network. "Large producers no longer sell their produce primarily in the local markets where they are grown. Consumers have grown accustomed to fresh produce all year long and now everyone understands the positive health benefits gained by the consumption of fresh produce. The result has been a sizeable increase in the demand for post-harvest services worldwide," says George Lobisser, president and CEO of Pace. "For the last few years we have been aggressively growing our technical service teams as well as heavily investing in R&D. The additional capital invested by VBC, coupled with access to their sizeable staff of scientists, will allow us to bring even more innovation to the market." Valent BioSciences' agricultural products include pre-harvest plant growth regulators such as ReTainÂ®, PromalinÂ®, MaxCelÂ®, RegulexÂ®, ProvideÂ®, PrestigeÂ® and ProGibbÂ®, biological insecticides DiPelÂ® and XenTariÂ®, and DiTeraÂ® biological nematicide. Pace International's post-harvest brands include Natural ShineTM, PrimaFreshÂ®, ShieldBriteÂ® PacRiteÂ® and RaynoxÂ®. Valent BioSciences Corporation, headquartered in Libertyville, Illinois, is a worldwide leader in the research, development and commercialization of low risk, environmentally compatible technologies and products for the agricultural, public health, forestry and household insecticide markets. The number of people dying from malaria has fallen dramatically since 2000 and malaria cases are also steadily declining, according to the World malaria report 2014. Between 2000 and 2013, the malaria mortality rate decreased by 47% worldwide and by 54% in the WHO African Region - where about 90% of malaria deaths occur. Access to accurate malaria diagnostic testing and effective treatment has significantly improved worldwide. 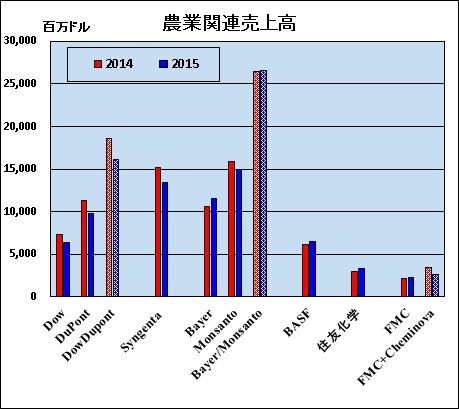 In 2013, the number of rapid diagnostic tests (迅速診断キット RDTs) procured globally increased to 319 million, up from 46 million in 2008. Meanwhile, in 2013, 392 million courses of artemisinin-based combination therapies (アーテミシニンと他の抗マラリア剤を併用するマラリアの治療法 ACTs), a key intervention to treat malaria, were procured, up from 11 million in 2005. A report last week has raised questions about a pesticide used to kill mosquito larvae, linking its use to the increase in cases of microcephaly in Brazil. But researchers say that's an unlikely connection. This story is part of NPR's ongoing coverage of the Zika virus. "It's a hypothesis, a probability," says Dr. Medardo Avila Vazquez, a pediatrician in Cordoba, Argentina, and the main author of the report. "And for us, it's more likely that it's the chemical larvicide and not Zika." But that's not the case, says Bruce Gordon, coordinator of the Water, Sanitation, Hygiene and Health group at the World Health Organization. "Pyriproxyfen actually mimics a hormone found in invertebrates, so it basically interferes with their development, but mammals don't have that development process," Gordon says. "There's absolutely no concern for reproductive effects that have been raised for this chemical." Plus, the Brazilian Ministry of Health directs state and city officials to use a mere 0.0003 ounces of the chemical per gallon of water. That concentration is enough to kill mosquito larvae, but it's much lower than what WHO has deemed to be a safe concentration in drinking water. "It's miles below the sort of acceptable recommended doses or the maximum doses you would apply," Gordon says. "You'd have to drink hundreds of liters of water to get to anywhere near potentially risky level." It's unclear how many countries actually use pyriproxyfen in their drinking water. For example, it's approved as a minor-use pesticide in the U.S. but only for crops and lawns, or to control fleas and ticks on pets, not for human ingestion. A study in a Cambodian village used it in water storage jars but did not follow up on long-term health effects. He and other health officials maintain that it's hard to ignore the mounting evidence that Zika is responsible for microcephaly. The virus has been found in the placentas of infected women and in the brains of babies born to mothers who had the virus while pregnant. Still, some doctors say it's better to be safe than sorry. "We need more information, since it's something new," says Dr. Gustavo Bretas, an epidemiologist with ABRASCO who worked for 15 years with the Pan American Health Organization. "The position of ABRASCO is that we should try to minimize the use of larvicides and insecticide," he says, and instead focus on improving people's access to clean water. "I think that's the most important message ... that we should prioritize access to water and sewage system, which is too deficient in the country," says Bretas. By investing in infrastructure, the government can ensure that mosquitoes don't have the chance to breed in stagnant tanks and buckets in the first place. In the end, the most compelling point against pyriproxyfen's role in Brazil's health issues is this: Health officials in the state of Pernambuco, the so-called epicenter of microcephaly, say that in the three cities reporting the most cases — Recife, Jaboatao and Paulista — pyriproxyfen is not in use. When it comes to fire ant control, Distance is everything. Fire ant mounds make any golf course more challenging. Plus, fire ants destroy greenhouse and nursery crops and lawns, and they threaten family members and pets. Distance is a non-restricted use pesticide that’s irresistible to fire ants and undetectable to everyone else. When worker ants carry the granules back to the colony to feed the queen, the unique active ingredient in Distance interferes with her ability to reproduce—and causes the death of the entire fire ant colony. Distributed by: Nufarm Americas Inc.
Pyriproxyfen (CAS No. 95737-68-1) is a broad-spectrum insect growth regulator with insecticidal activity against public health insect pests: houseflies, mosquitoes and cockroaches. In agriculture and horticulture, pyriproxyfen has registered uses for the control of scale, whitefly, bollworm, jassids, aphids and cutworms. Pyriproxyfen is used on citrus fruit in Israel, South Africa, Spain and Italy. Pyriproxyfen is one of several insecticides used for the control of the red imported fire ant (Solenopsis invicta) in California, USA. Pyriproxyfen has also been considered by WHO for vector control under its Pesticides Evaluation Scheme. Non-standardised Pyrethrins concentrate. Due to natural variances in the Pyrethrins assay of the plant extract, Pyrethrins content varies batch-to-batch. Not suitable for all formulation types and applications due to high product viscosity.